"One is as it were rich, when one has nothing; and another is as it were poor, when he has great riches" (Prov 13,7). This passage of scripture fits the servant of God, Frances, who with all her heart espoused holy poverty and thus came into the possession of the grace of God. Born in 1819, Blessed Mary Frances Schervier was a descendant of a distinguished family in the old imperial city of Aachen or Aix-la-Chapelle. While she was perhaps not prominent in the eyes of the world, she enjoyed the distinction of extraordinary supernatural privileges from the very days of her youth. Her desire to enter a religious order was thwarted by the early death of her mother in 1832, when Frances was only 13 years old. She was obliged to remain at home and attend to the household, though she did not let these circumstances prevent her from caring in a very special way for the poor and the sick. So lavish was her liberality that one of the old servants once remarked, "One of these days the child will have dragged everything out of the house." Later she was an active member of several benevolent societies of women and also of what was known as St John's soup kitchen, a charitable enterprise organized to feed the needy. 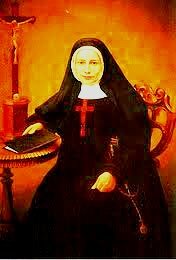 Blessed Mary Frances Schervier joined the Third Order of St Francis in 1844. Henceforth she and four other young women resolved to lead a community life. They found a dwelling at the old city gate of St James, and took possession of their first religious abode on the eve of the feast of St Francis in 1845. Prayer and works of mercy were their principal occupation. Mother Frances and her first companions - the number soon increased to 23 -- received the religious habit on August 12, 1851, and a new religious family was formed. Very appropriately she called the new congregation the Sisters of the Poor of St Francis. The poverty of St Francis and his love for the poor of Christ superseded everything else in the eyes of the foundress. On one occasion she wrote to her sisters: "The impress of poverty and penance should mark even our chapels and churches and be their distinctive feature." The first foundation of the Sisters of the Poor of St Francis in the United States was made in 1858. Twice Mother Frances came to the US, the first time in 1863 and the second time in 1868. During her first sojourn in this country, she joined her sisters in ministering to wounded soldiers of the Civil War and to the sick, the homeless, and the orphaned. The second time, while visiting the various institutions conducted by her sisters, Blessed Mary Frances Schervier also lent a helping hand in caring for the sick, the aged, and the poor. Mother Frances sacrificed everything for the poor out of love for God, and she was amply repaid by Him who cannot be outdone in generosity. Her foundation increased visibly, and to this day it enjoys the special blessing of Divine Providence. At her holy death on December 14, 1876, Blessed Mary Frances Schervier was mourned by thousands of daughters in religion as well as by the poor, and was venerated as a saint. Unusual conversions and other remarkable events occurred even during her lifetime in answer to her trustful prayer, and since her departure from this world, such things have happened even more frequently. These Milagros-exclusive chaplets feature full five-decade rosaries. Each bead set comes with a full-color chaplet prayer folder and a plastic sleeve for safe-keeping. Chaplet: 18.5" L. Pamphlet: 2" W x 6.75"H (folded). 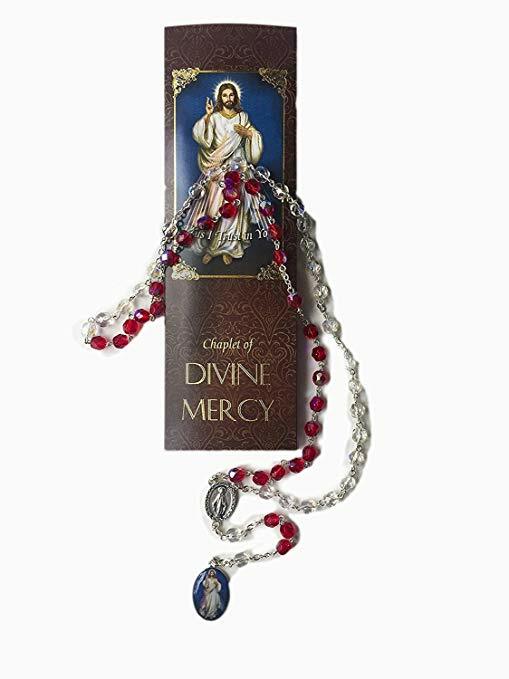 The Chaplet of the Divine Mercy, also called the Divine Mercy Chaplet, is a Christian devotion to the Divine Mercy, based on the Christological apparitions of Jesus reported by Saint Faustina Kowalska (1905–1938), known as "the Apostle of Mercy."